New Jersey has some of the toughest gun laws in the country. NJ legislators are constantly passing new laws that impose more severe penalties for weapons offenses. In particular, the Graves Act is infamous for imposing harsh penalties on individuals caught illegally possessing guns in New Jersey. Recent amendments to the Graves Act have broadened its scope. 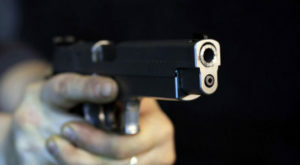 Now enhanced penalties may be imposed on practically anyone convicted of illegally carrying a firearm. The battle-tested criminal defense team at the Tormey Law Firm has successfully handled thousands of cases in Morris County and throughout New Jersey, in Superior Court and Municipal Court. The firm’s managing partner, Travis J. Tormey, has been cited as a legal authority in various areas by AOL, the Asbury Park Press, and the Bergen Record. In addition, he was named one of the 10 best criminal lawyers in the State of New Jersey by the American Jurist Institute and he has a perfect 10.0 rating on Avvo.com from his clients (with over 75 reviews). If you are charged with a crime involving a weapon in New Jersey, you may be exposed to sentencing under the Graves Act. In these types of cases, it is imperative that you have an experienced NJ weapons defense attorney representing you and arguing aggressively on your behalf. You can reach us anytime toll-free at 866-949-6948, or you can use the online contact form to schedule an appointment at our offices in Morristown. The harsh penalties of the Graves Act apply even to first-time offenders. A person convicted of a weapons offense under the Graves Act must be sentenced to a term of imprisonment with a minimum term of parole ineligibility fixed at one-third to one-half of the sentence imposed, or three years, whichever is greater. This means that for second degree offenses, the sentencing range is between five (5) and 10 years in NJ State Prison, with a minimum of three (3) years that must be served before becoming eligible for parole. Under N.J.S.A. 2C:44-3(d), a person who has previously been convicted of a weapons offense is subject to enhanced penalties. These can include a mandatory extended term of imprisonment of five (5) years. As set forth by N.J.S.A. 2C:39-5(i), if a person is caught unlawfully possessing a machine gun, handgun, or assault firearm while engaged in “organized criminal activity,” he or she must be sentenced to a minimum of five (5) years in state prison, during which time the person will not be eligible for parole. Unfortunately, because of the seriousness of firearm offenses, prosecutors are often hesitant to consent to a defendant’s admission into the Pretrial Intervention Program (PTI) unless there are extraordinary and compelling circumstances. However, a knowledgeable gun crime defense lawyer may be able to persuasively argue that these circumstances exist in your case. Perhaps you lawfully acquired the firearm in another state and were simply traveling through New Jersey. An experienced criminal defense attorney who understands the nuances of the Graves Act can help you make your case. For information regarding the lawful transport of firearms into and through New Jersey, access this resource. Since NJ prosecutors take gun charges very seriously, they are reluctant to agree to a probationary sentence in these cases. Again, however, a skilled criminal defense attorney can make the argument that you should be sentenced to probation if you have no prior criminal record and the firearm posed no threat to public safety. It is possible for a skilled criminal defense lawyer to get a waiver of the Graves Act penalties. In accordance with N.J.S.A. 2C:43-6.2, a defendant may apply for a waiver of an otherwise mandatory minimum sentence imposed by the Graves Act. If you find yourself in a situation where you or a loved one have been charged with a “Graves Act” offense, a conviction may result in a mandatory period of parole ineligibility. At the Tormey Law Firm, we understand the importance of attacking the State’s case and limiting your sentencing exposure to the greatest extent possible and you deserve the best legal representation possible. We are prepared to use our extensive experience and knowledge of the law to achieve the best possible result for you. We can help: simply contact the Tormey Law Firm in Morristown toll free at 866-949-6948, or you can use the online contact form to schedule an appointment with an experienced New Jersey Graves Act lawyer.